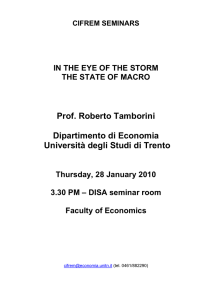 Professor of Economics, School of Management and Economics, University of Turin (1983present; Full Professor since 1995). Economiques et Fiscales (IREF), Paris and Luxembourg. and Economics of Institutions (since 2003). Member of the Council of Public Policy, Munich and Berlin (since 2001). Member of the Mont-Pèlerin Society, 1994-2005. Member of the Scientific Council, Institut Turgot, Paris (2001-2005). Institute "Austrian School of Economics", Vienna, (1996-2002). A2) L'Economia Politica del Commercio Est-Ovest, Milano: Etas Libri, 1984. A3) Crescita e Commercio Estero nei Paesi in Via di Sviluppo, Torino: UTET Libreria, 1992. A4) L’immoralità No Global, Soveria Mannelli: Rubbettino, 2003. A5) Law, Informal Rules and Economic Performance, (S. Pejovich with contributions from E.
Colombatto), Cheltenham: Edward Elgar, 2008. B1) Tutti Proprietari (ed. ), Firenze: BdL-Le Monnier, 1980. 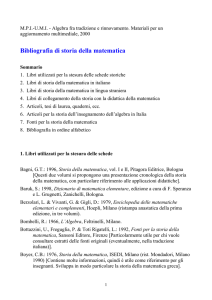 B1b) "Verso una nuova teoria economica della proprietà: introduzione", in B1). 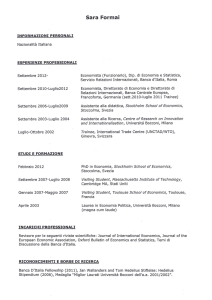 B2) Indicizzazione (ed. with G. Tabellini), special issue of Biblioteca della Libertà, 82/83, luglio/dicembre 1981. 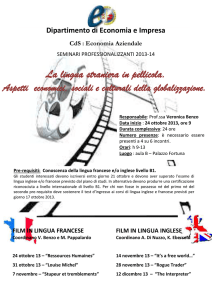 B2b) "Drenaggio fiscale e redditi da lavoro dipendente", in B2). Commercio Mondiale (co-author and editor), Torino: Fondazione Agnelli, 1988. 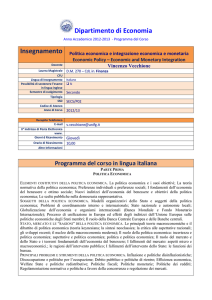 B3c) "Le regole dell'export: Italia e NICs a confronto", in B3). 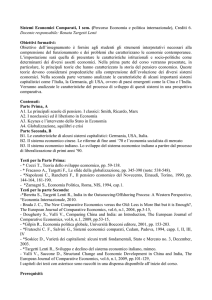 B4) I Diversi Sud dell'Economia Mondiale (co-author), Torino: Fondazione Agnelli, 1989. B5b) "Un modello reale per l'analisi della liberalizzazione monetaria", in B5). 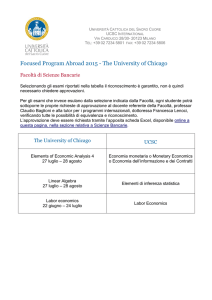 B6) The Rational Foundations of Economic Behavior (ed. with K. Arrow, M. Perlman, Ch. 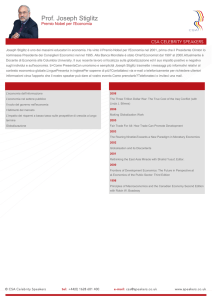 B7) Journal des Economistes et des Etudes Humaines, Special issue on Transition, March 2001. Northampton (Ma): Edward Elgar, 2004. LXX, 1980 (reprinted in English in R.P.E. Selected Papers, 14, 1980). Distributive Trades, Milano 1981 (ristampato in Commercio, Rivista di Economia e Politica Commerciale, 9, 1981). Economiche e Commerciali, 12, XXVIII, 1981. C4) "Reagan un anno dopo", in Rivista di Politica Economica, 3, LXII, 1982. 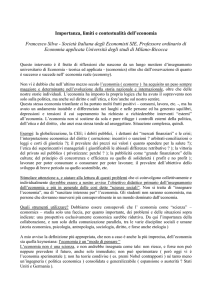 C5) "Sul comportamento delle cooperative monopolistiche" in Micros, 5, settembre 1982. Economia Internazionale, 1, XXXVI, febbraio 1983. Economia, 3-4, XLII, marzo-aprile 1983. C8) "CMEA, money and ruble convertibility", in Applied Economics, 4, 15, August 1983. C9) "Lo shock petrolifero, una crisi in due tempi", in Cronache Economiche, 4, 1983. Economia e Politica Industriale, 4, IV, ottobre-dicembre 1983. USSR and East European Countries, Nato Colloquium 1985, Bruxelles 1985. 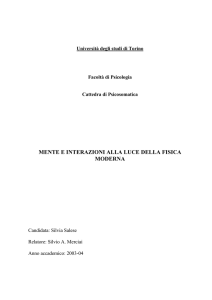 C17) "L'evoluzione del vincolo estero in un'economia pianificata centralizzata", Rivista Internazionale di Scienze Sociali, 2, 1986. 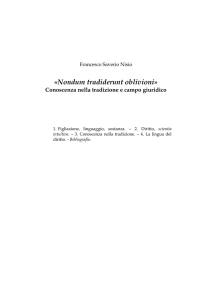 C18) "Indicatori, convenzionali e non, del commercio estero: una nota in margine alla 'constantmarket-share analysis'", in Rivista di Politica Economica, agosto-settembre 1986. Industria e Terziario, Modelli di Interazione e applicazione al Piemonte, Torino 1987. C21) "Domanda di protezionismo e tasso di cambio" (con R. Hamaui), in Economia Politica, 3/1988. Commercio Internazionale, Giuffré, Milano 1989. C24) "An analysis of exports and growth in LDCs", Kyklos, 4, 43, 1990. Struttura Produttiva, UTET, Torino 1991, pp. 195-221. 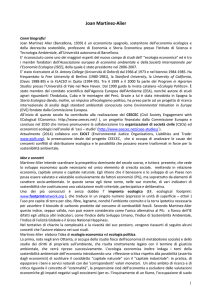 C27) "A comment on economic growth and social development", World Development, 1991.
della Libertà, XXVI, 115, ottobre-dicembre 1991, pagg. 73-85. XXVII, ottobre-dicembre 1992 e in Journal des Economistes et des Etudes Humaines, 2-3, III, JuinSeptembre 1992.
des Sciences Sociales, 96, 1993. Scelte Pubbliche, 2/3, 1994, 113-132. C34) "Path dependence, public choice and transition in Russia: a bargaining approach" (with J. Macey), Cornell Journal of Law and Public Policy, 4, 2, Spring 1995, 379-413.
International Review of Law and Economics, 16, 2, June 1996, 195-209. C38) "A public choice model of international economic cooperation and the decline of the nation state"
(with J. Macey), in Cardozo Law Review, 18, 1996, pp.401-432. C39) "Protectionism in developed countries: too much or too little? ", in K. Leube, J. Sadowski, A. 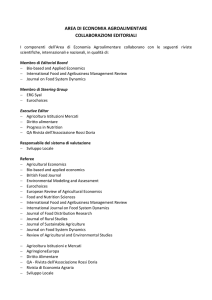 Journal for Institutional Innovation, Development and Transition, 1, 1, 1997, pp. 10-17. Eastern Europe, YASF, Belgrade 1997. Institutions and Systems (2nd edition), Kluwer Academic Publishers, 1998, Ch.9. and the Law, McMillan 1998, pp.613-617. Union", ICER Working Paper, 1/98, Torino, January 1998]. 8, 2/3, juin-septembre 1998, pp.219-238. Communist Economies and Economic Transformation), 11, 1, 1999, pp.5-25. 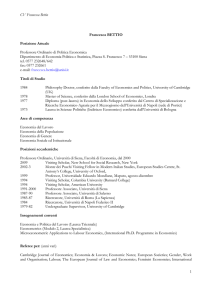 C49) "Information and transaction costs as the determinants of politically tolerable growth levels"
Internazionale, LII, 3, agosto 1999, pp. 317-326. Bologna: il Mulino, 2000, pp.239-246. “Austrian School of Economics”, 2000, pp.31-42. Bürgergesellschaft, Köln, J.P. Bachem for the Hanns Martin Schleyer-Stiftung, 2000, pp. 28-36. Humaines, 1, 11, March 2001, pp. 63-77. C58) “On the concept of transition”, Journal of Markets and Morality, 4, 2, Fall 2001, pp.269-288. Nationalökonomie, Düsseldorf, Verlag Wirtschaft und Finanzen, 2002, pp.83-104. C61) “Why is corruption tolerated?”, Review of Austrian Economics, 16 (4), 2003, pp.363-379. Rights, Cheltenham (UK) and Northampton (Ma): Edward Elgar, 2004, pp.251-269. Scienze Sociali nella Grande Vienna, Soveria Mannelli: Rubbettino, 2004, pp.87-114. 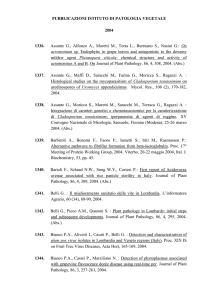 Evolutionary perspective”, Procesos de Mercado, III (1), Primavera 2006, pp.11-45. C67) “On economic growth and development”, Review of Austrian Economics, 19, 2006, pp.243260. Cheltenham: Edward Elgar, 2007, pp. 46-66. Finance & Business Ventures (with A. Melnik), 12(1), August 2007, pp. 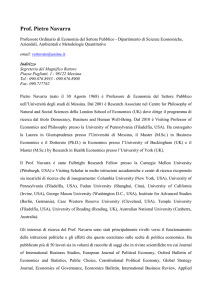 9-25.
funders” (with A. Melnik), New Perspectives on Political Economy, 4(1), 2008, pp.1-21. 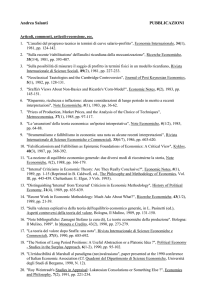 Journal of International Business and Economics, 8(1), Fall 2009, pp. 185-197. C74) “Relationships and the availability of credit to new small firms” (with A. Melnik and C.
Monticone, Journal of Industrial and Business Economics, 39 (1), March 2012, pp. 5-21. Research Handbook on Comparative Law and Economics, Edward Elgar. the Journal of Public Finance and Public Choice. 11 (1), 2014, pp. 79-92. Centro di Ricerca e Documentazione L. Einaudi, giugno 1984.
e Documentazione L. Einaudi, 1985. D5) "Export Credits: the Recent Brazilian Experience", OECD Technical Papers, 46, 1991. Politica "G. Prato", 3, Torino, gennaio 1992. 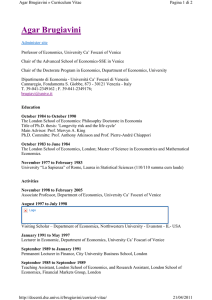 D8) "Transition as a bargaining problem" (with J. Macey), ICER Working Papers, Torino, 20, 1998. Torino, Working Paper, 10 (July 2012). Grande Dizionario Enciclopedico UTET, UTET, Torino 1987.
d'Impresa - Economia Politica (edited by S. Zamagni), UTET Libreria, Torino 1994.
by STEP - Studi di Economia Applicata), Franco Angeli, Milano 1996. (Special Issue on Transition), March 2001. 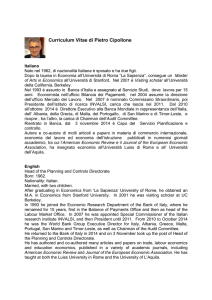 R. Cubeddu), in Il Pensiero Economico Italiano, IX, 2001, 1, pp.187-199. E8) “Barking up the wrong tree: a reply to Haynes and Husan”, (with A. Brzeski), PostCommunist Economies, 14 (3), 2002. Studies, 18 (1), Winter 2004, pp. 89-98. Economics/Zeitschrift für Nationalökonomie, 91(1), May 2007, pp. 97-100. Barry Eichengreen”, The Independent Review, 13 (1), Summer 2008, pp. 141-144. Journal of Markets and Morality, 11 (2), Fall 2008, pp. 337-339. Economics/Zeitschrift für Nationalökonomie, 102, 2011, pp. 89-92. E17) “Foreword”, in E.S. 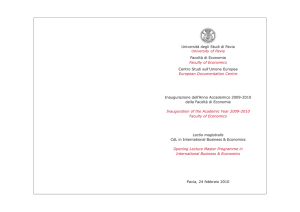 Rockefeller, La Religione dell’Antitrust, Torino: IBL Libri 2011, pp.717. Conoscenza nella tradizione e campo giuridiconovità!